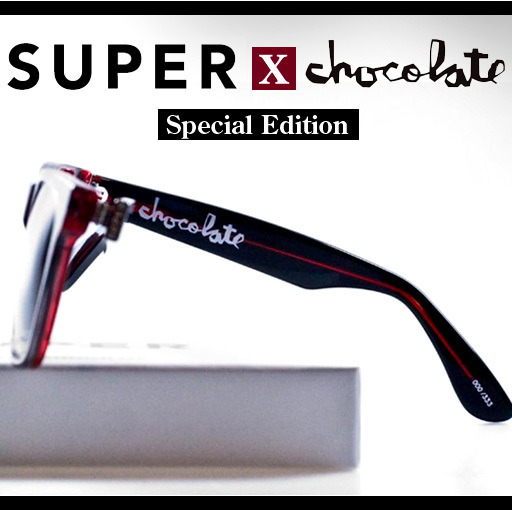 As sweet as Chocolate…The latest collaboration between Super sunglasses and Chocolate Skateboards has arrived and we of course were among the few shops to get them. Chocolate, the skateboard brand established in 1994, celebrates its 15th Anniversary by collaborating with Super for these special limited edition shades. Only 333 pairs total made, each pair is individually numbered and of course comes with Super’s signature white box that has always distinguished their special projects.